Dr. Syed asked: I have been reading the Five Hymns. 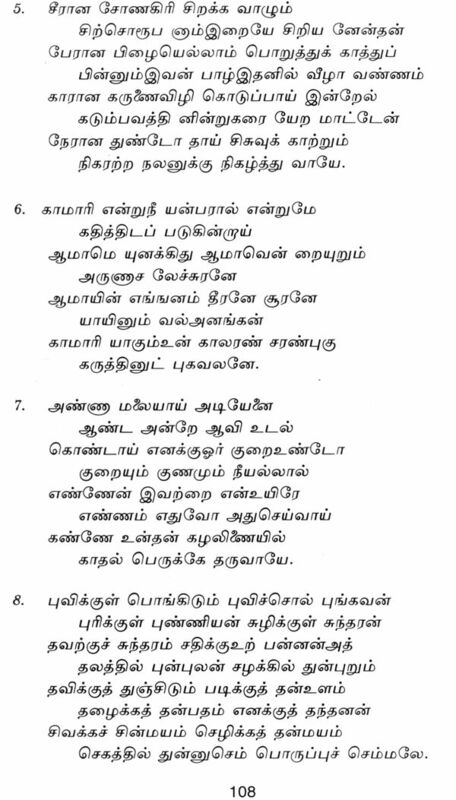 I find that the hymns are addressed to Arunachala by you. You are an Advaitin. How do you then address God as separate being?
. D.: But you are addressing God. You are specifying this Arunachala Hill as God. 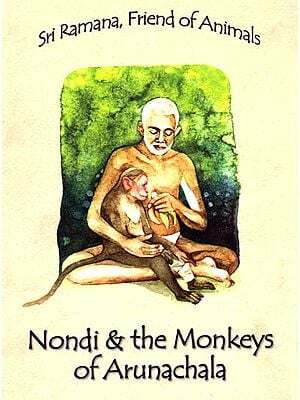 Bhaagvan Sri Ramana Maharshi is acclaimed as the greatest exemplar of inana morga after Sankara Bhagvadpada. Like Sankara’s hymns, Bhagavan’s soul-stirring outpourings on Arunachala demonstrated that the highest form of bhakti and inana are the same. 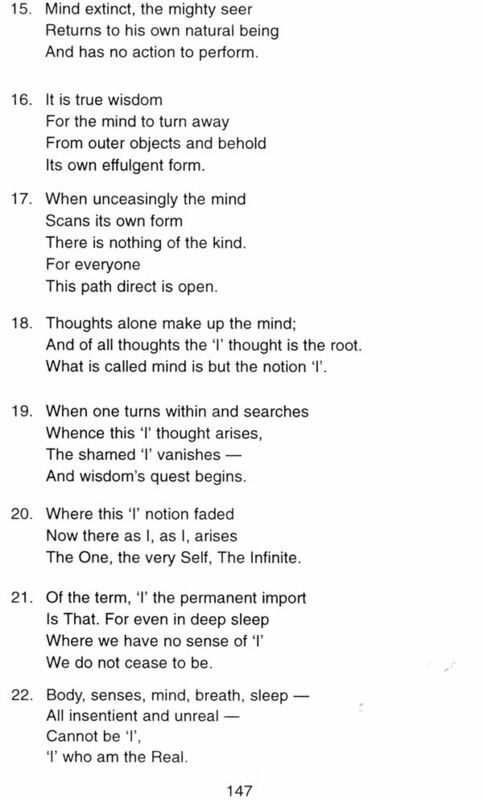 Bhagavan has said that the words of some of these poems appeared before him and compelled him to put them down. One cannot read them without being stirrd to the depth of one’s heart. 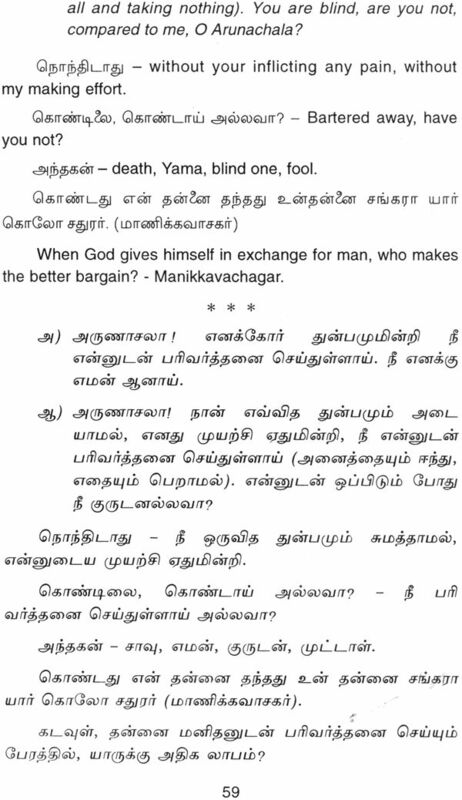 It was the desire of Ramana Kendra, Delhi to make this treasure in Tamil available to a wide circle by providing a fresh English rendering of songs, together with a commentary in English for the longest of these poems, “ The Marital Garland of Letters”. The English translations of Prof.K. Swaminathan along with musical notations was first published by the delhi Ramana Kendra in 1977. 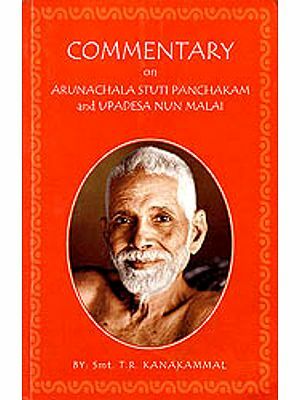 The second edition of this book was published in 1988 by the Kanvashrama Trust in Tiruvannamalai. 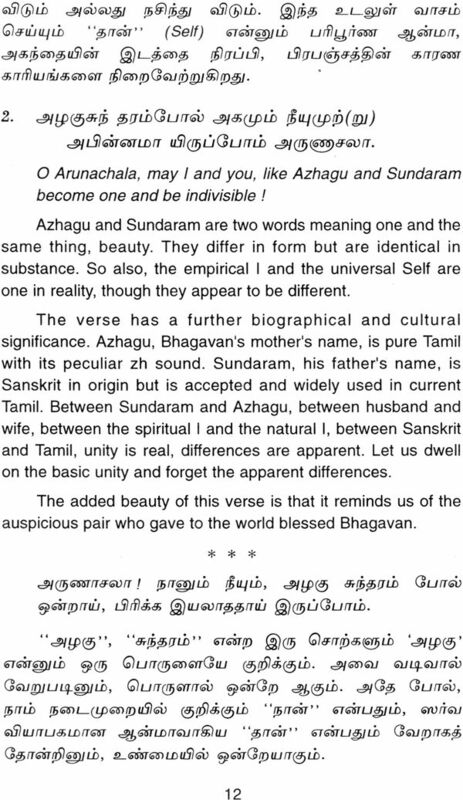 In this third edition, for the benefit of those devotees who are familiar only with Tamil, Prof.K.Swaminathan’s English commentary on “ Aksharamanamalai” has been rendered into Tamil by his daughter, Smt. Mahalakshmi Suryanandan. 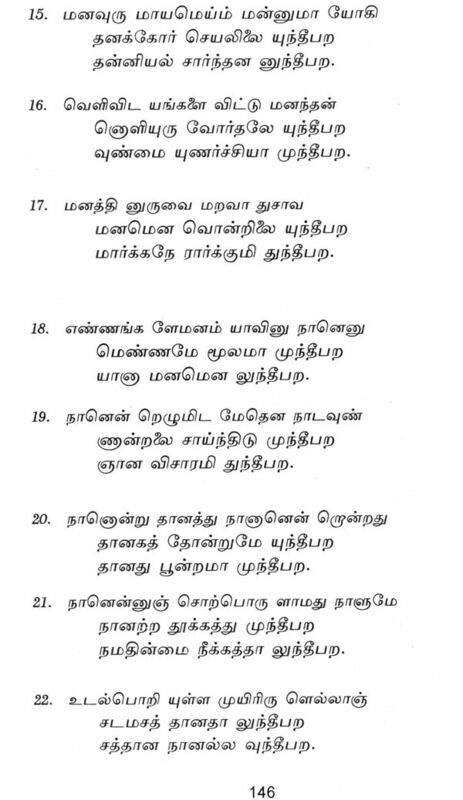 The Professor’s translation of “ Upades Saram” and “ Ulladu Narpadu” and its supplement verses are also included in this edition. We are happy to bring out this present edition as Ashram Publication.